The 13th International Facial Nerve Symposium, the largest gathering of facial nerve experts from across the globe, will take place Aug. 3 to 6, 2017 at the Loews Hollywood Hotel in Los Angeles. This event promises to be the biggest and best to date, and perhaps it is easy to understand why. In addition, the symposium features live Botox and dermal filler demonstrations, temporal bone courses and surgical video series with clinicians, providing attendees with unparalleled learning experiences. The 13th International Facial Nerve Symposium is sponsored by the House Ear Institute and Facial Paralysis & Bell’s Palsy Foundation. It will host over 500 participants from 40 countries and enable attendees to learn and connect with one another like never before. 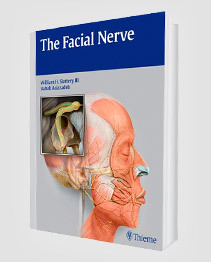 “Team” Approach to Facial Nerve Patients: What does it mean for a facial nerve patient and a facial plastic and reconstructive surgeon to work together to accomplish a common goal? 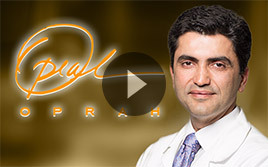 Elizabeth Bradley, MD, will describe how to take a team-oriented approach to help facial nerve patients achieve their desired treatment results. Use of Botulinum Toxin for Facial Palsy: Botox has been shown to be a safe, effective treatment for many facial palsy patients. In this presentation, Jose Carlos M. Faria, MD, and Brazilian facial plastic surgeon Alessandra G. Salles will provide insights into Botox and its benefits for facial palsy patients. 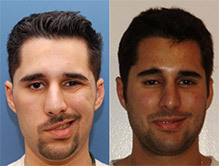 Comprehensive Upper and Lower Eyelid Paralysis Reconstruction: Upper and lower eyelid paralysis can be difficult to treat. Michael Tze‐Chien Yen, MD, will discuss what it takes to perform a successful upper and lower eyelid paralysis reconstruction procedure. In-Depth Sessions: Attendees can participate in a wide range of learning sessions to build their skill sets in an engaging learning environment. First-Rate Panels and Seminars: Many panels and seminars are available, allowing participants to gain meaningful insights into various facial nerve topics. Networking Opportunities: There are many networking opportunities throughout the event, making it easy to build relationships with colleagues. Let’s not forget about the exhibitors that will be on hand at the symposium, either. Symposium exhibitors will have displays set up throughout the event and can offer insights into facial nerve innovations that could make a world of difference. That way, attendees can learn about new facial nerve products, services and much more. The 13th International Facial Nerve Symposium is right around the corner, and there is still plenty of time to sign up for this event. 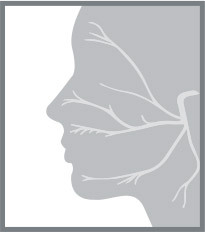 To register for the 13th International Facial Nerve Symposium, click here. Or, if you have any concerns or questions about the event, please call 312-202-5201 or fill out the online contact form here.